There are many different types of masks that benefit your skin in different ways. Depending on the type of mask, they can draw out the toxins from deep within the skin layer, hydrate and nourish your cells to help them retain moisture and make your skin look hydrated and fresh, or supply your skin with the nutrients it needs but can’t get from food alone. In each case, applying a face mask is a boost, a gift you give your skin and a procedure that will invigorate your skin effectively and noticeably. Unlike your daily routine, masks are special in that they envelop your skin in a blanket of ingredients allowing your skin to take everything it needs in the 15 minutes or so that you leave the mask on. Once done, your skin will glow and thank you with its revived elasticity and tone. There are a multitude of health benefits that masks can offer to your skin. Knowing this, we aligned with global natural cosmetic brand Greenness to offer you the following innovative natural beauty masks: Cucumber Collagen Crystal Mask, 24K Gold Collagen Mask and Ice Lift Hydrating Collagen Mask. All 3 masks are free of parabens, alcohol and fragrance, leaving you with just the purest, most beneficial ingredients that are all about delivering pure health to your skin. This mask is all about hydration. As it hydrates your skin, it also renews it, creating supple, healthy, firm, and radiant results. This mask is unique in how it boosts the immune system of your skin cells. It is suitable for all skin types, and is especially soothing to sensitive skin. Some of the unique and stellar ingredients in this mask include algin, cucumis sativus, marine collagen, aloe and human epidermal growth factor. Algin smooths and softens your skin. It comes from brown algae and acts as an antioxidant, anti-bacterial agent and an emollient, making it an effective anti-aging ingredient. Cucumis sativus is the cucumber extract and acts as ultra-hydrating and cooling ingredient. It makes the skin feel calm and hydrated, like a drink of fresh cold water on a hot day, your skin will drink it up and thank you for it. Marine collagen slows down the effects of aging by repairing the damage your skin suffers from being exposed to the environment such as UV rays and low humidity. Research shows it has an effect of thickening the epidermis, which means your skin will appear more supple and youthful. Aloe is known for its calming and soothing properties. Its unique gel structure is incredibly effective at soothing any irritations, burns or inflammations of the skin. Human epidermal growth factor is an ingredient that works like magic in regenerating your skin despite the possible UV damage, aging process and burns. It also stimulates collagen production and they overall promote the growth of new cells which will take years off your face. A highly effective 24k gold collagen mask, this gem penetrates deeply into the skin layers and boosts rejuvenation on a cellular level. Its main effect is in reducing the appearance of existing signs of aging while also helping prevent future wrinkles. It is great for all skin types. Gold, the star ingredient in this mask, has been shown to slow down collagen depletion, increase skin elasticity, lighten the complexion and stimulate the cells by increasing blood circulation which prevents signs of premature aging. Aloe extract, as discussed above, is a wonderful soothing, anti-inflammatory and overall hydrating ingredient to help your skin heal while hydrating and calming. Collagen is a key resource for ensuring our skin stays smooth and supple. It is what helps the skin maintain its elasticity and firmness. Hyaluronic acid is skin-replenishing and skin-restoring. It is another component of the skin tissue and its synthetic version is super-restorative to the skin. It is also excellent at defending your skin against moisture loss. Rosa rugosa flower has long been used as a Chinese healing herb. Its oil is effectively used in fighting acne and any infections that may be causing your skin to break out. This mask tightens and smoothes, leaving your skin looking firmer and more supple. It increases cellular moisture storage capacity, repairs the fibrous tissue, and enhances the skin’s elasticity. It is great for all skin types, but is especially beneficial for aging skin. Feed your skin the luxurious ingredients that it needs to look and feel its best. 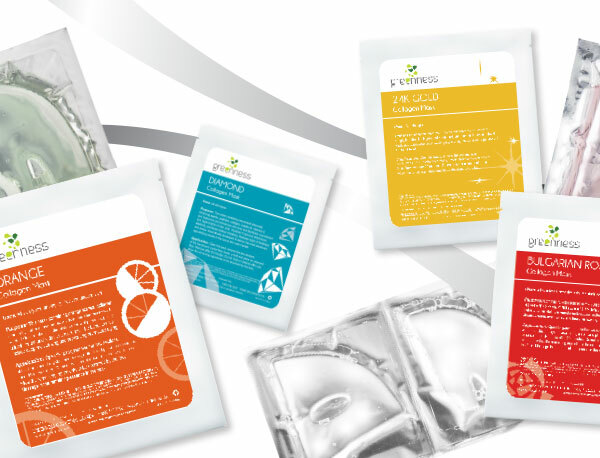 These masks will deliver visible benefits to the health, look and feel of your skin. Treat your face with the love it deserves.